Do you have teens or Pre teens with skin concerns? Then dermalogica have the answers! 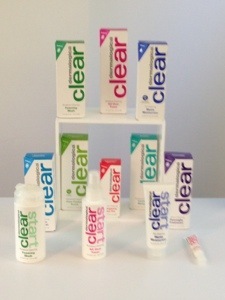 Just launched this week brand new from dermalogica is ClearStart a line of products to treat acne, oiliness and blocked pores and prevent breakouts. Did you know? During puberty teens produce more testosterone which stimulates the oil glands resulting in oily skin and breakouts!